Pretty much everybody knows that they should be using strong passwords, but the reality is that pretty much everybody uses weak passwords. Why? Because it's not at all easy to remember a complex password, that's why. To keep a computer or online account secure, you should use a password of 8 or more characters which doesn't include repeated characters or sequences of characters, which doesn't include dictionary words or your user name, which includes a mix of special symbols and upper and lower case characters and which is not used across multiple accounts. In other words, each and every one of your computer and online accounts should be protected by a secure password that is at least as complex as "M$8ni3y0". Could you remember one of these secure passwords for each and every one of your online accounts? Probably not – and that's why you use the name of your dog or cat as the secret password on each of your accounts, right? requirements, users will compromise security by using weak passwords. It's a lose-lose situation. But Atek have come up with a solution to creating a secure password for all of your accounts and websites: the Logio Secure Password Organizer. The Logio is a small credit card-sized device that enables you to create and store secure passwords and to associate those specific passwords with a user account or web address. These secure passwords are protected behind a master password – and that's the only one you need to remember. The Logio is undoubtedly exceptionally easy to use: if you can use a calculator, you'll certainly be able to use the Logio. The Logio's buttons can be somewhat fiddly to operate, but that's a standard problem with all small devices. Read on to learn about the features Logio offers to create secure passwords, it's security methods, and it's overall value. Store desktop logins, ATM and debit card pin codes, credit card numbers, frequent flyer program numbers, password and driver's license numbers, etc. Note that the Logio does not have an option that enables you to reset the master password. Atek's reasoning for this is that "We do not want you to accidentally reset it and lose all your data and because we do not want the finder of a lost Logio to be able to use it and therefore have less incentive to return it to its owner." There is certainly some merit in this, but I would prefer it if the Logio had a reset option. As it stands, should you forget the master password, your Logio will become a brick. That aside, the Logio provides everything you need to be able to easily create and manage secure passwords. 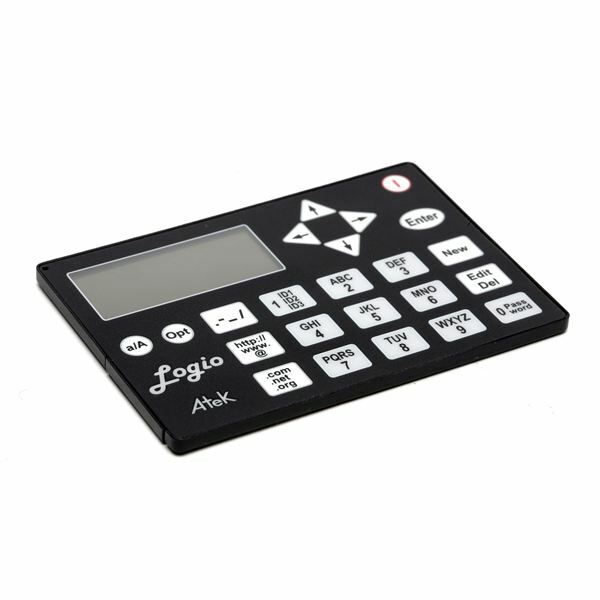 The Logio protects passwords with AES encryption. So long as you choose a master password which cannot easily be guessed, the Logio will keep your passwords safe and secure. At $29.95, the Logio is extremely affordable when considering what your personal data might be worth to password-guessing hackers. Today, most people have multiple computer and online accounts, and most people do not properly protect those accounts because of the problems associated with remembering complex passwords. The Logio is an elegant solution to the problem. Furthermore, for businesses, the Logio is an excellent way to stop those time consuming, "Sorry, I seem to have forgotten my password. Again. For the third time this week." calls to the Help Desk. Highly recommended for anyone looking to secure passwords across multiple websites and data. Would you like to read more reviews? Look around Bright Hub and you’ll find reviews of numerous other leading security solutions including Undelete, SpamTitan, GFI MailEssentials, GFI LANguard, Norton Internet Security, Kaspersky Internet Security, ESET Smart Security, McAfee Total Protection, Norman Internet Security Suite and ZoneAlarm Internet Security Suite.